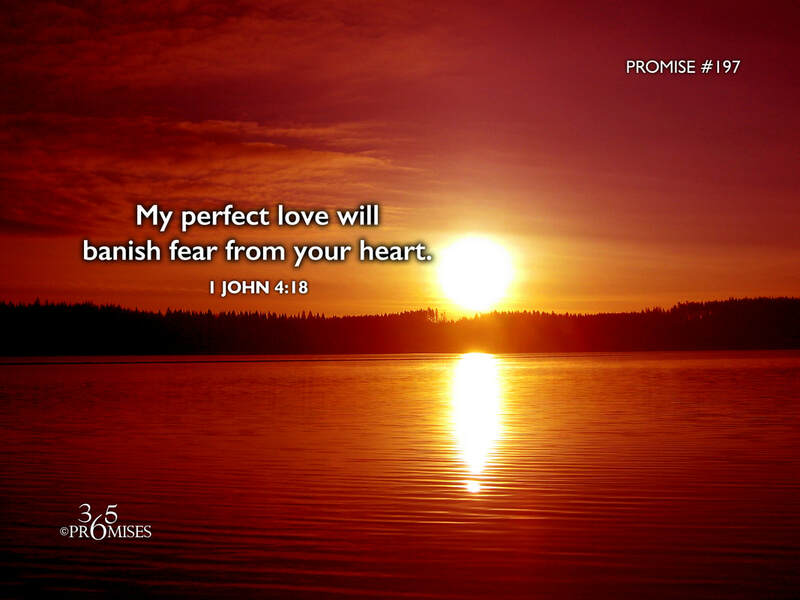 My perfect love will banish fear from your heart. He who fears is not made perfect in love. According to the Strong's Concordance, the Greek word for 'perfect' is complete. Imagine a love that is complete in every way. The love of a father, the love of a mother, the love of a friend, the love of a brother, the love of a spouse, etc. Whatever love we need, the true source is found in the completeness of God's love. In this passage, the word for love used here is the Greek word 'agape', which often describes the love that comes from God. In 1 John 4:16, God Himself is described as the complete expression of love and then two verses later the Apostle John says that God's perfect love will violently throw out all fear from our hearts. The root of worry is fear. The root of insecurity is fear. Fear of man, fear of the future, fear of the present, fear of lack, etc. There are many things in this world that cause us to be afraid but God continually is telling His kids "Do not fear!" Fear cannot co-habit with love. When love comes, fear is banished forever! God is love. Whoever lives in love, lives in God! Today, allow the perfect, complete love that flows from the heart of Almighty God to fill your heart to overflowing and fear will have no option but to flee in response.